Puri city is in the state of Orissa on the shore of the Bay of Bengal. It is known for being one of the most favored tourist destinations for the tourists not only from India but abroad too. It is not only known for being tourist attraction but it is also a Hindu sacred place.This place is also the biggest and the well known pilgrimage venue all over the world. There are numerous tourist attractions in Puri which makes it one of the celebrated holiday destinations of India. By checking out the tourist attractions in Puri, you can get a complete idea about the rich history and culture of the city. There are numerous tourist attractions in Puri which has attracted tourist from all over the world. Puri is popular for its historical temples, sightseeing places, beaches and other popular tourist attractions. A visit to these places is a must when on a vacation to this ancient city of Puri. The city of Puri offers the visitors a plethora of attractions including an array of magnificent temples, sandy beaches, exotic wildlife and a rich cultural heritage. Tourist attractions of Puri are numerous. Visitors not only pay a visit to Puri for its temples and nearby sightseeing places but also for its stunning beaches. 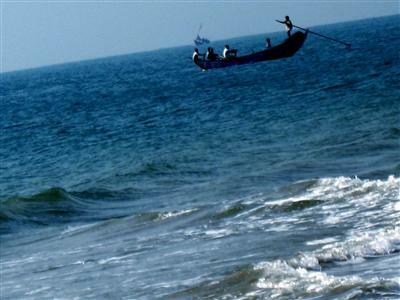 One of the popular beach is the well known beach is the Puri beach. This beach is the ideal hang out place with ones near and dear ones. There are numerous tourist attractions in Puri that are worth taking a look. Visiting these places will enable you to learn more about the city and its glorious history and culture. Puri Beach is located at the city of Puri and the distance between Puri railway station and the beach is only 2km. Nearest airport is located at Bhubneshwar which is 60km away. Buses and Taxis are available for local transportation. Puri beach is a very beautiful beach. Fine white sands, roar of the breakers rolling in from the Bay of Bengal and countless devotees flocking the place for a purification dip are the synonyms to the Puri Beach. The beach has continued to be a sacred venue for an endless number of pilgrims coming to pay homage to Lord Jagannath . The soft white sands of this magnificent beach will undoubtedly leave a visitor bewitched by its beauty. Snuggled up along the Bay of Bengal the beach is spread up in several kilometers and is an ideal place for leisurely walks. Witnessing a sunrise or a sunset on the Puri beach is a mesmerizing spectacle which remains etched in the memories of the traveler. The beach is also an ideal place to savor the local street food of Orissa. The entire beach is filled with hawkers who sell coconut water to masala chai and various other delicacies. The Puri beach festival held annually in November is in fact a time when one should ideally be visiting the beach as a host of activities take place during this time and one gets the best of local cuisine. The Puri Beach is also renowned for the sand sculptures created particularly by the internationally famed Sudarshan Patnaik. The subjects are generally inspired by sculptures covering the temple walls, characters and episodes from the mythology and also the contemporary events. An entire beach stretch can be completely yours given the immense number of beaches in Odisha (Orissa) and a comparatively lower number of fun lovers, the city being a popular pilgrimage point for Indians. Modeled on the lines of Goa Beach festival, Puri Beach festival is organized for five consecutive days to bring about and showcase the cultural and traditional bounty of Orissa to the fore. The festival is an astounding effort of the Ministry of Tourism, state government, Hotel and Restaurant Association of Orissa and authorities of Handicrafts and cultural centers, joining hand together to promote tourism and offer cultural programmes, unique shopping opportunity, sports activities, and fireworks competition against the backdrop of pious Jagannath temple and wide expanse of Bay of Bengal. , the Puri Beach Festival held every year in the month of November is the period when the bests of Puri come alive in her beach. Rock, Cultural and Fashion shows, sand art competition, little shops selling local handicrafts and handlooms and food-stalls of various sea-food and local cuisine spring up all over the beach. Being a festival of various classical and folk dances of India, this festival offers a unique opportunity to the visitors to interact with the local populace and enjoy the bountiful charms of Odisha (Orissa). The festival is also marked by an exhibition of Handicrafts, Handloom and Sand Art. To add more fun to the festival, events like fashion shows and rock shows are also made a part of it that leaves every present soul extremely happy and delighted. If possible time your tour accordingly to enjoy the best of everything this beach has to offer. Puri is the home to many historical temples of India. Devotees from all over the world love to pay a visit to these temples all throughout the year with their friends and relatives. This temple is the major tourist attraction in Puri. It is a major draw for devotees for the presence of the holy Jagannath Temple. It is particularly thronged by lakhs of devotees throughout the year from all over the world. Situated on the Nilgiri hills the temple was constructed in the 12th century by Raja Chodaganga Deva. This temple is the principal place of worship for the Hindus and is categorized as one of the four sacred dhams. Standing erect with a height of 65 meters, the Jagannath temple is considered as one of the tallest temples of India. Situated in the heart of the city of Puri, the temple walls are adorned by paintings of Lord Krishna and the pillars, which support the temple, are exquisitely carved with the scenes from life of the Lord. It is one of the most magnificent monuments of India. The holy sight of Lord Jagannath, accompanied by Subhadra and Balabhadra raises loads of joy among the devotees. The two gods and the goddess of the temple are ornamented in accordance with the occasion and seasonal change. The structural design of the temple can be found to be in pyramid shape. Jagannath Temple in Odisha (Orissa) consists of four entrance gates. They are named as Singhadwara, Ashwadwara, Hathidwara and Vyaghradwara and these names refer to lion, horse, elephant and tiger. . Two rockcut lions are guarding the gate. Likewise the horse, tiger and elephant are placed by the southern, western and northern gates. The temple also has the largest kitchen in the world where 400 cooks show their culinary skills while dishing out 100 dishes for more than than 10,000 devotees.Each day, the Lord at the Jagannath Temple is offered ‘bhoga’ six times and it is dispensed among the worshippers close to Ratnavedi. Jagannath Temple is the honor of Puri and Odisha (Orissa). While the worship services and festivities continue to be carried out at the place right throughout the day, there are as many as 24 major festivals celebrated each year, the most important of these being the rath yatra or chariot festival held each year during the month of June-July. The procession involves three gigantic chariots bearing the idols of Jagannath, Balbhadra and Subhadra, being taken across the streets of the city. The giant chariots are 35 feet long rising to a height of 45 feet with 16 wheels, each measuring 7 feet in diameter. Thousands of devotees from all over the planet throng the streets of Puri to witness the festivities with over 4000 people needed to pull the huge raths to the deity’s summer abode, where the idols are worshipped for an entire week before the whole process begins again and the deities are brought back to their home at Puri. The chariots used for the purpose are reconstructed every year. 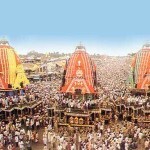 The age-old tradition ratha yatra, ‘the car festival’ has special significance for the entire humanity. On the occasion of rath yatra Lord Jagannath comes on the street to meet one and all regardless of caste, creed and religion. While on the street during ‘pahandi vijay’ everybody can touch the deities. It is the grandest festival on earth. Everything is on a scale befitting the great Lord. Having the darshan / sight / glimpse of the Lord Jagannatha on the chariot is the most auspicious thing in anybody’s life by which the ultimate goal of human life is achieved. That’s why people over the world throng to ratha Yatra festival to have Lord Jagannath’s darshan and pull the Chariot. Swargadwar or the gates of heaven is a place near the sea shore in Puri. A dip here in the holy waters is believed to open the gates of heaven and leads a person towards salvation. It is also the place where the Vaishnava prophet, Mahaprabhu passed away by merging one with the sea. At Puri it is customary to have the first bath at Swargadar which is a sacred place. It is believed that Sree Chaitanya, the founder of Vaishnav sect had his first bath at Swargadwar. Swargadar means the door (dwar) to Heavens. Pilgrims enjoy a ritualistic bath with a belief that a bath in the sea at Swargadwar release one of all the burden of one’s past misdeeds and opens the path of virtues for him. Beautifully adorned, the temple of Sakshigopal or the Truthful witness is another tourist attraction. Gratified by the prayers of his devotee Sree Krishna arrived, all the way from Vrindavan to Kalinga to appear as a witness but conditionally. Sree Krishna disappeared leaving only his stonified statue at the violation of those he had given. The temple came to have been built in course of time. It is a popular belief that without a visit to the Sakshigopal a trip to Puri remains incomplete. Other attractions in Puri include Gundicha Temple, Sudarshan Crafts Muesum, Jagannath Ballav Math, Chaturdham Veda Bhawan, Bedi Mahavira, Ardhasani, Chakra Tirtha, Dasavatara Math etc. while nearby excursions from Puri are Pipli, Raghurajpur and Chilka Lake. Puri is very well connected to all the major cities of India as it has its own railway station. Puri attracts tourists from all over the world throughout the year and the best time to visit Puri is from October to March but because of the sanctity of the place Puri has tourists all through the year. ‘puri rath yatra’ is really nice one should feel the spiritual power over there and such nice beaches around the city,nice info. I love your blog its look nice and attractive. I visited many places in India like Goa, Jaipur etc. and always remember that trips which i visited and photos are memories of it in my album and heart touching photos is always with me. I always keep in touch with your blog and going to bookmark also. I like your blog it’s looking nice visited Puri once it’s a Holy place. Nice temples there. Planning to go there again soon.